Last week I shared that I was on the hunt for green in the family room, but I’ve also been scheming to add green in other rooms in the house! My laundry room, the second to last room painted “swine,” is currently getting a fresh coat of white paint. It feels so much better already! 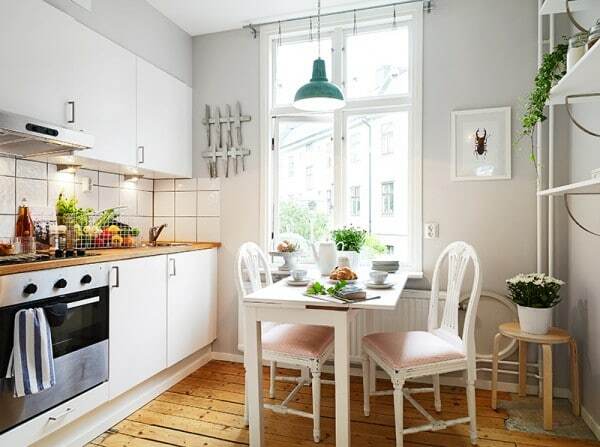 It’s a tiny space, so the white really opens it up and makes it feel especially clean, light and bright. Inspired by beautiful white rooms with green industrial lights, I decided my laundry room would be a fun space to play around with that look. My laundry room currently features a less than inspiring large fluorescent light on the ceiling. I’ve been dying to take it out since the day we moved in. 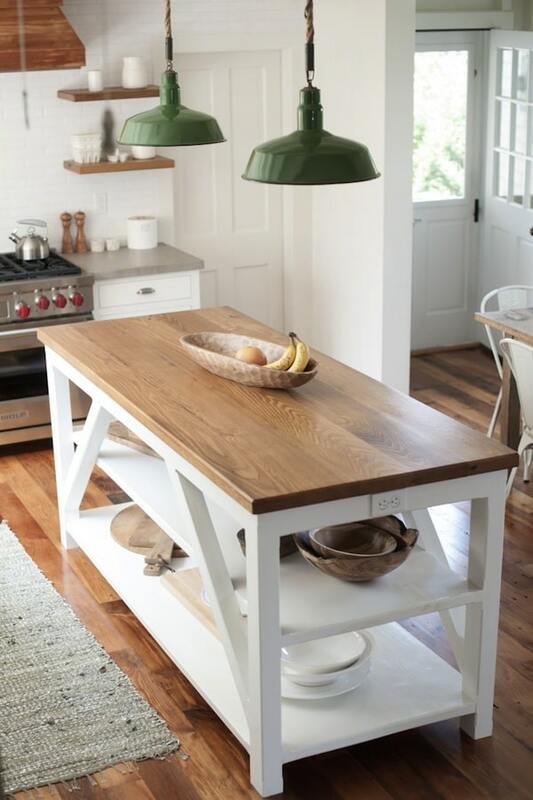 I already picked out a great flush mount green light fixture from Barn Light Electric and it is sitting right here in a box, ready to install as soon as the room is painted! It won’t be long now! 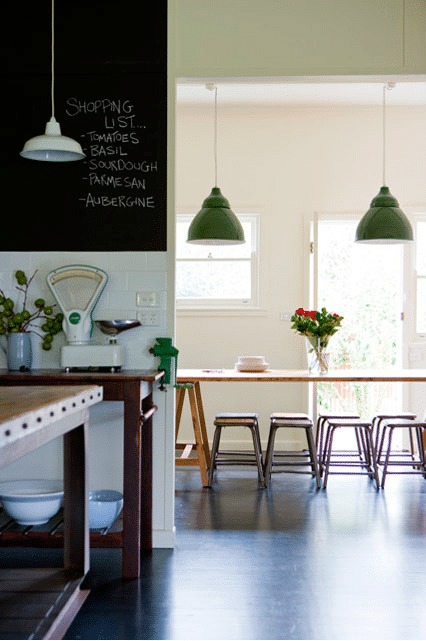 Today I wanted to share these lovely spaces that inspired my laundry room color scheme. Original source seems to be from a house that was for sale, found here! *UPDATE: See my own refreshed laundry room with a new green industrial light here! I‘ve downsized our home and decluttered our belongings a few times and it wasn’t always easy! 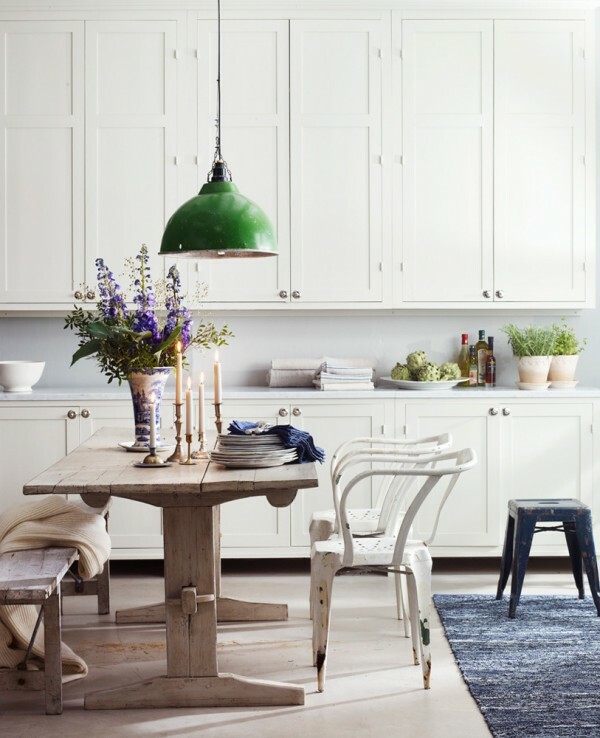 But today I am sharing a few tips that might help you turn your home into the calm retreat you want it to be! 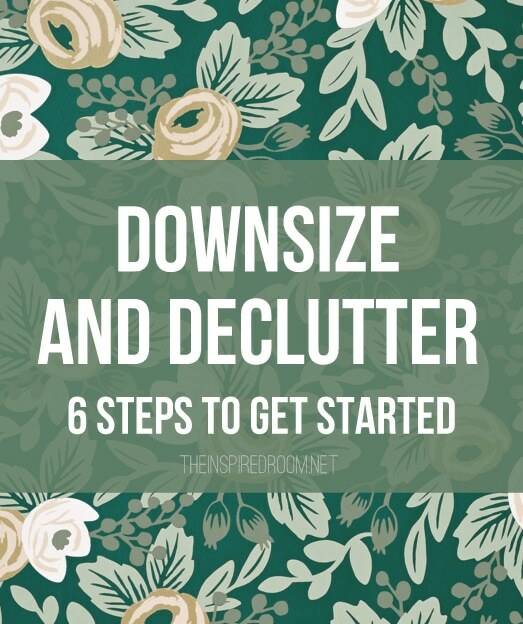 Come be inspired to declutter and downsize with my article on The Decluttered Home!